The Dr herself is nice enough but the whole appointment felt extremely rushed. She was with another client, cutting intomy appointment time and I didn't even receive my full 45 minutes. I had maybe 30 minutes of her time. I went a second time assuming that my first appointment date was just an off day but no! The office is always extremely over crowded, wait time is ridiculous, and service feels very rushed and inadequate. Do not recommend! The Dr herself is nice enough but the whole appointment felt extremely rushed. She was with another client, cutting into my appointment time and I didn't even receive my full 45minutes. I had maybe 30 minutes of her time. I went a second time assuming that my first appointment date was just an off day but no! The office is always extremely over crowded, wait time is ridiculous, and service feels very rushed and inadequate. Do not recommend! 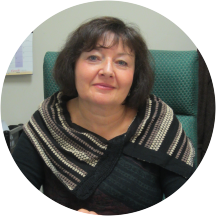 Dr. Dina Makarova is a compassionate and caring psychotherapist with expertise in counseling and teaching. She has special training in Cognitive-Behavioral Therapy and received her education from New York University. Century Medical & Dental Center has been providing the finest patient care in Brooklyn, NY for the past eleven years. Our headquarters are based in an Article 28 multi- specialty facility. We accommodate all patients within their budget. This is because unlike other clinics, we accept straight Medicaid insurance plans. All of our medical staff members are specialists in their respective fields. Our team consists of a Psychiatrist, Pain Management specialist, Cardiologists, Gynecologist, Podiatrist as well as a vast number of other medical experts here to cater to a variety of ailments. She was very positive, professional, & Well dressed. Very attentive, kind, and a great listener. Dina genuinely wants to help and has a sense of compassion I haven't had with other professionals. She's great !! Very sweet, and an excellent listener !! She was not very helpful to my needs and what I asked for. She was a very good doctor. With my daughter sh was patient and let her know and us know what was going on with her. She's good. I've only had a few sessions with her, but they've been helpful. Dina Makarova is a social worker, not a psychologist or psychotherapist proper, but this works for me. Only problem: the office where I see her has anIMMENSE wait period. You sometimes have to wait 2 hours before you see anyone. Not cool. it was nice she was sweet and understanding. Ms.Dina Makarova is a great professional and I feel better after her therapy sessions. She is very ethical and has a good , thoughtful bedside manner. I highly recommend her. Professional, carying. Very nice person. My daughter shouldn't have to wait an hour and a half (close to 2 hours!) for an appointment, especially if she needs to talk to a therapist. It seems that they overbook here, because if everyone had a set amount oftime for their appointment, there is no reason that anyone should have to wait at a therapist's office for more than 15 minutes. I would accept even 1/2 hour wait , maybe. Very frustrating because no one at the receptionist/front desk seemed to think that it was a big deal. I decided to try again with another appointment the following week to see if the first time it was a fluke, but the second time was just as long if not worse. The therapist herself was fine, but my daughter was slow to warm up to her and now we're not coming back at all because of the long wait time. Office is very busy but Dr,Giyaur always gives you her full attention and gives you a feeling of being welcome.I know that being at the doctor can be harrowing at times but she and her friendly staff will put you at ease. I felt very comfortable with her and my first visit went well. Will continue to see her.